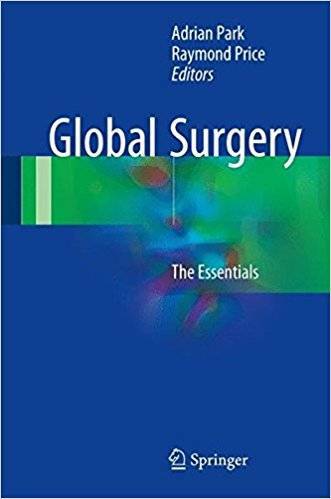 Adrian Park, "Global Surgery: The Essentials"
This text was developed as a book aimed at surgeons and allied health professionals that provides an introduction to the unmet needs , epidemiological, socioeconomic and even political factors that frame Global Surgery. Following upon an understanding of these issues, the text is a practical guide that enables the reader on several levels: to work cross culturally , build relationships and negotiate the logistical challenges of bringing surgical care to low resource settings; to develop an approach to the management of various clinical conditions that would be unfamiliar to most “western” surgeons. Global Surgery is a recently coined term that encompasses many potential meanings. Most would agree that it focuses on the growing recognition of the crisis of access to quality surgical care in low resource settings. Such scenarios exist on every continent. Increasingly surgeons, allied health professionals (NGO), Public Health / Health Policy professionals as well as governmental and non-governmental organizations are engaging in this field. Many surgeons have an interest in Global Health and a desire to become involved but feel ill equipped to do so and unsure where to start. 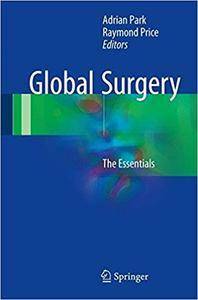 Global Surgery: The Essentials serves as a ready resource to equip surgeons to manage clinical scenarios that lie beyond the scope of their training or current practice but that they would reasonably be expected to encounter in the field.